I don’t know if I have an old fashioned palate, or if it’s my inner historian, or if I’m just plain curious, but whenever I hear about a recipe or a dish that is extinct my mouth starts watering. I love poring through old cookbooks and finding recipes for foods that you just don’t see today — prune whip, creamed chipped beef, blancmange, Welsh rabbit. 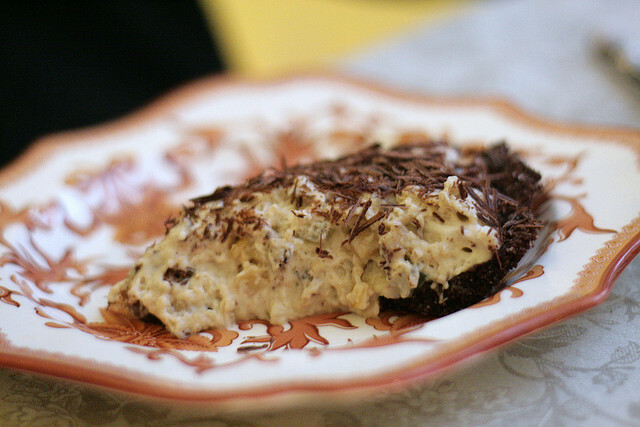 But this particular forgotten dish — Nesselrode Pie — piqued my interest like no other. If you’ve been reading this blog over the past few weeks, you may have noticed that I am drawn to holiday recipes that feature booze or candied fruit peel or chocolate, so when I heard about Nesselrode Pie — a cream pie flavored with rum and candied peel and garnished with chocolate — I pretty much thought that I may have found the ultimate holiday dessert. Traditionally, Nesselrode (named after Count Karl Nesselrode, a 19th century Russian diplomat) featured candied chestnuts or chestnut puree (also traditional to the holidays) but for whatever reason (probably largely related to the shocking labor and therefore expense associated with candying chestnuts), Nesselrode Pie, which was popular in New York in the 1940’s and 1950’s, became associated with candied fruits (no chestnuts) and rum. Most of the recipes I could find featured a product called “Nesselro”, which contained candied fruits (including cauliflower, which supposedly mimicked the texture of chestnuts) in a rum flavored syrup, which I though I had tracked down a few years ago at the Vermont Country Store but which sadly seems to be unobtainable. Instead, I scoured the internet for recipes and combined them into one I thought would be a decadent holiday pie and an excellent alternative to the pumpkin and pecan you see this time of year. I can’t promise that it’s authentic — I’ve never tasted another Nesselrode Pie. But I can say that when my mom tasted it she said “This tastes like my childhood.” And I can promise that if rum and fruit and chocolate float your boat, this will be the holiday pie for you. 1½ c. heavy cream, divided into ¾ c. and ¾ c.
Process sugar and crumbs in food processor. Melt butter, combine with sugar and crumbs. Press into a 9 inch pie plate until firm (I use the bottom of a glass to press it in. Bake at 325 degrees for about 15 minutes, let cool. Pour rum over the fruits, let macerate for at least one hour. Bring ¾ c. cream to a simmer. Beat egg yolks with sugar until pale yellow. Whisk in part of the hot cream, then return the eggs to the remainder of the cream and whisk over low heat until the mixture is thickened. Fold in chestnut puree. Meanwhile, sprinkle the gelatin over the cold water in a small bowl. When the gelatin has absorbed the water and the custard is thickened, whisk the gelatin into the cream and eggs mixture. Refrigerate until firm. Break up the firmed custard with some vigorous stirring. Beat the egg whites until stiff and whip the remaining cream. Fold the macerated fruits (with the rum), the whipped cream and the beaten egg whites into the chestnut custard mixture. Pour into the prepared pie shell. Chill until firm, and garnish with curls of chocolate. I’ve honestly never heard of this pie. Looks good! What a lovely little pie! I’ve never heard of Nesselrode before =D. You are a true web sleuth. However, even though I am quite fond of Nesselrode Pie, I’m not sure I’m 12 jars of Nesselro fond. Because of the whipped cream, this is definitely more on the creamy side than the eggy side, plus the rum and chestnuts cover up that egg flavor. But it is a cream pie, which means it is custard based. I once referenced Nesselrode Pie in a fiction piece! I loved the old-fashioned ring to it. It’s great to really learn its history. Thanks for tracking down its origins and ingredients. Welsh rarebit – not rabbit! There’s no rabbit involved! Ha Chris — I know there’s no rabbit involved. It’s actually a big debate which one is correct — the story I’ve heard (and which sounds entirely plausible to me) is that Welsh Rabbit is a pejorative term for the dish invented by the English that’s intended to comment on the poverty of the Welsh. I’ve heard yeas and nays on both sides, but that’s the story I’m sticking to so I call it rabbit! How funny you would post this – your timing is perfect for me! I recently saw an episode of Andy Griffith and they were talking about this pie, I heard it was in the Mayberry cookbook so I sought it out (lots of great recipes in that book BTW). I just bought the ingredients to make it – it is very similar to your only the crust is a traditional crust not a chocolate crumb crust. I also am interested in long forgotten recipes. Apparently this was quite a popular pie for a while and then it just kind of disappeared. This is so great! Driving home this evening I remarked to my wife “what is nesselroad pie?”. For some reason I thought about that pie from my childhood. I googled this and was directed here. I looked at the recipe and sure enough those memories started comeing back. As a practicing chef, I eal with food daily in a large hotel. I could almost taste the flavors of this recipe and can hardly wait to make it on my upcoming vacation the week after Easter. Happy cooking everyone. There was a bakery called Sttuers French Pastries in Brooklyn, Greenwich Village and somewhere in Queens which produced an absolutely perfect Nesselrode pie. It’s neither flan-like or eggy and for years I’ve been looking for a bakery which would attempt to replicate my memories. Unfortunately, Sutters has been out of business for years and the last place I had a slice was Sweets, a fish restaurant down by the South Street Seaport. At one time this pie was so ubiquitous in NYC that you could get it at any Horn & Hardardt automat. If anyone locates a source for the finished pie, please post it. Sorry, it’s Sutters, not stutters. Chestnut puree makes the mushy outcome pictured. You can substitute candied fruits, even just candied orange peel. I usually soak the fruits in rum for a couple of days, a third cup of raw rum is too overpowering in what should be a custard and cream filling. The crust should be a plain fluted and flaky butter crust, pre baked. Actually, a graham cracker crust is perfect for this dessert. I sent Kate a lazy version of Nesselrode pie…it may lack culinary standards but in this age of non-existent rum soaked chestnuts, it serves us well. Karl consider an Oreo chocolate cookie crust. Oreo cookies? Sacre Bleu! The Count must be turning over in his grave. Mon Dieu! not w/the oreo cream, the cookie crust comes prepackaged, like the graham cracker one. I’ve embarrassed sweet Kate enuf, so let me wish you all a wonderful Nesselrode-less happy Thanksgiving, I caved…doing a homemade ‘pumpkin pie & baked apples. just scanning the net and found the nesselrode comments and it brought back memories. i’ve eaten it many times. hortense spier made it and sold it to many places including peter lugers in brooklyn. she made wonderful desserts and for me it was a tough decision between the nesselrode and the blueberry crumb. this bit of nostalgia has disappeared, unfortunately. there was a bakery in brooklyn, on morgan avenue, that continued to make them for quite a while. the name escapes me. i guess it’s hostess twinkies now. 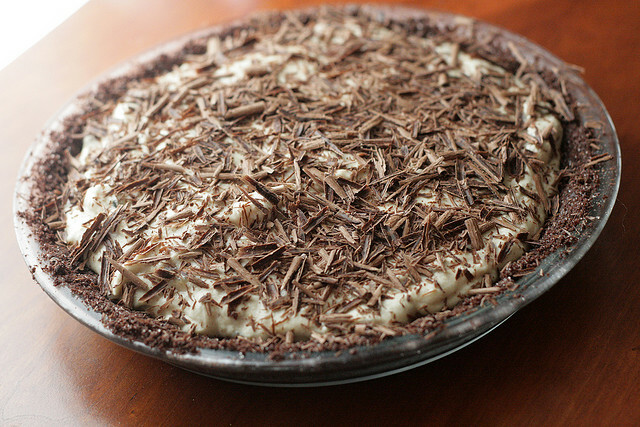 My mother used to make my favorite pie of all time….the nesselrode. This was through the 50’s and 60’s and I believe she used 2 layers of bavarian cream (rum flavored)covered with unsweetened chocolate shavings. She always said that it was not a true nesselrode pie but it was delicious. The added benefit may be that you don’t have to find the Nesselro. Great to see this old recipe revived! Madeleine Kamman mentions Nesselrode in her books (and she did fold chestnut puree into the bavaroise), but most of the boomer generation rejected anything that resembled fruitcake (shudder). Browsing through my professional library; in his 1960 edition of The Baker’s Manual for Quantity Baking, Joseph Amendola gives this version of Nesselrode to use in his pie: “Soak together: 2 ounces each of cherries, pineapple and raisins; 3 ounces of chestnuts and 1 ounce of rum.” The mixture is folded into the filling at the end. No chocolate. He puts his filling in a regular pre-baked pie shell. My new Pie Country bakery has received a number of special requests for Nesselrode Pie, so with a little research, we have been making a delicious Nesselrode Pie for special orders. Not a fan of candied citron, we use marons glacee chopped up along with just enough chestnut puree to give it good flavor without making it too heavy. And we nestle it all in our classic butter crust, top it with fresh whipped cream and lots of bittersweet chocolate shavings. We are based in the Bronx, though do not currently have a store-front. We do wholesale baking and a small online retail for special local delivery. A couple ran the cafeteria where I worked years ago. He was the manager and she was the cook and made the best pies ever. One was the Neselrode. Ihave made it many times and is much simpler than described here. Mine is: ican evaporated milk. one cup of milk, 3 egg yolks, i/4 cup corn starch and 1 cup sugar. Beat thoroughly and cook over medium heat, stiring constantly till mixture thickens. Remove from heat and stir i 3tbs butter and 1 tsp. 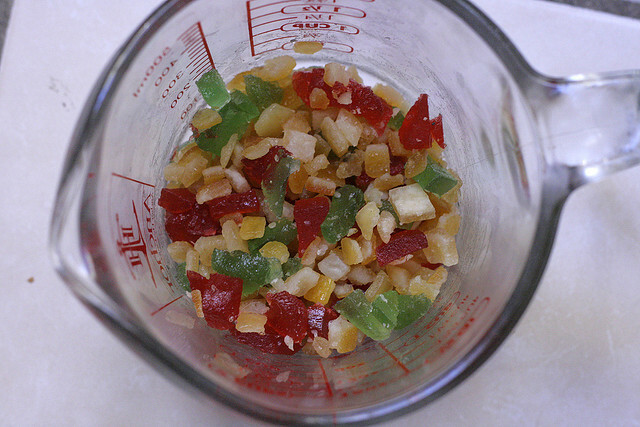 vanilla Then stir in 1/2 cup chopped dates ans 1/2 cup candied cherrries quartered and 14 cup sliverered almons. Pour into a baked pie shell. I either top it with merangue or shaved chocoolate. Either is to die for. I remember Nesselrode Pie very well and with affection. Gage and Tollner in downtown Brooklyn, N.Y. in the 1950’s and 60’s served it. It was certainly beautiful, however it was a “heart attack” on a plate. It probably was wiped-out with the search for good for you foods, a real loss. I have a friend who makes nesselrode sauce for ice cream, pound cake and whatever else. She loves it. Do you have any history or information about a nesselrode sauce? A cable station called ME TV is running That Girl, Marlo Thomas’s sitcom from the 60’s. This week she played a waitress in a private club for gangsters, and for their banquet’s dessert she served “the boys” individual Nesselrode Pies. You could see whip cream and chocolate bits on their tops. This was circa 1965. It’s definitely a retro dessert! Maybe it will come back into fashion! Dairy Restaurant on Delancey Street in the lower east side of manhattan. Delicious! I love to hear stories like this. If you try the recipe, tell me how the taste compares! Found this pie in Betty Crocker’s Cookbook. No copyright still inside, but I would guess mid 70’s. I am 42 and don’t remember my Mom’s kitchen without it. I’ll have to look through some of my vintage cookbooks! My Mom made Nesselrode Pie every year at Christmas time. She used the same candied fruit she used in her fruit cakes, and made the crust of ground Brazil nuts, butter and sugar. She said it became popular after the end of rationing after WWII, because it perfectly expressed the decadent treats that had been denied during the war. Thanks for bringing it back! I was actually looking for a Nesslerode Pie recipe when I found this one. I made one once when I was a young married woman in the late 60’s. Found my reicipe in a womans magazine at the time and can’t remember which one. What I do remember is that the recipe was very labor intensive, but turned out sooo delicious. I remember shaving the chocolate curls for the top, but not sure about the crust, though pretty sure it was chocolate. It was amazing but I never made it again. Just had a longing to find it and try it again and I appreciate all your research,effort, and enthusiasm. It looks wonderful and I hope to make on these next holidays. I GREW UP WITH MY MOTHER MAKING THIS NESSELRODE PIE. THE STORY WAS THAT SHE AND MY DAD WERE IN N.Y.C. AND HAD IT AT A RESTURANT IN THE 30’S OR 40’S. SHE BEGGED THE WAITER FOR THE RECIPE AND HE GAVE IT TO HER! 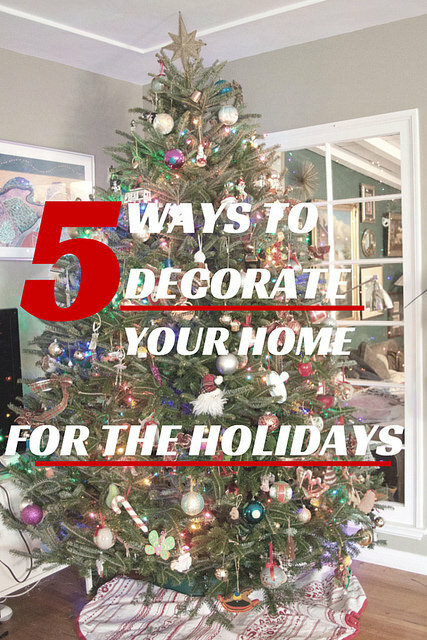 I HAVE BEEN MAKING IT ONLY AT CHRISTMAS TIME FOR ALMOST 50 YEARS. COMBINE THE SLIGTHLY BEATEN EGG YOLKS WITH 1 1/2 CUPS OF WHOLE MILK, 1/4 TEASPOON SALT AND 1/3 CUP OF SUGAR IN THE TOP OF A DOUBLE BOILER. COOK OVER SIMMERING WATER UNTIL THE MIXTURE THICKENS AND COATS A SPOON. STIR CONSTANTLY. SOFTEN ONE ENVELOPE OF GELATIN IN 1 TABLESPOON OF COOL WATER AND WHISK INTO THE HOT MIXTUREUNTIL GELATIN DISSOLVES. CHILL THE MIXTURE IN REFRIGERATOR UNTIL MIXTURE BEGINS TO THICKEN. BEAT THE 3 EGG WHITES UNTIL STIFF WHILE GRADUALLY ADDING 1/3 SUGAR. FOLD THE EGG WHITES INTO THE THICKENING (BUT NOT SET) EGG MIXTURE. ADD 2 TABLESPOONS OF RUM FLAVORING AND 1/4 CUP CHOPPED MARACHINO CHERRIES. MIX GENTLY. DIVIDE AND POUR INTO THE 2 COOKED PIE CRUSTS. SPRINKLE WITH 2 TABLESPOONS SHAVED UNSWEETENED CHOCOLATE. REFRIGERATE AND SERVE AFTER THE FILLING IS SET. 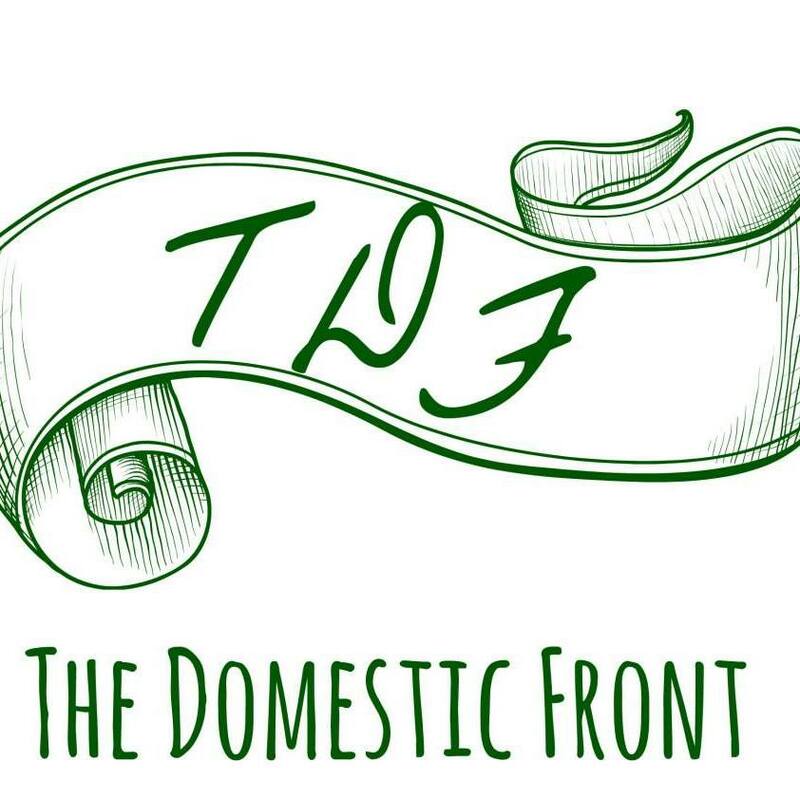 Thank you, thank you Kate for your wonderful site “The Domestic Front”. Trying to get to sleep last night I suddenly tasted nesselrode. What a memory from the past. My family love Christmas Pudding, and at 83 I am tired of the same old, same old. I had turned the pudding bowls over to the kids, but 2 years ago they were dumped back on me with a plea to make the puddings, as they were too busy! So much for retirement. Well, I made the Christmas pudding, but after reading all about nesselrode on the internet today I have decided to make the nesselrode custard, but put it in a pavlova (meringue) crust which I will make during Christmas week, and combine the two just before serving, perhaps mounded with more whipping cream. 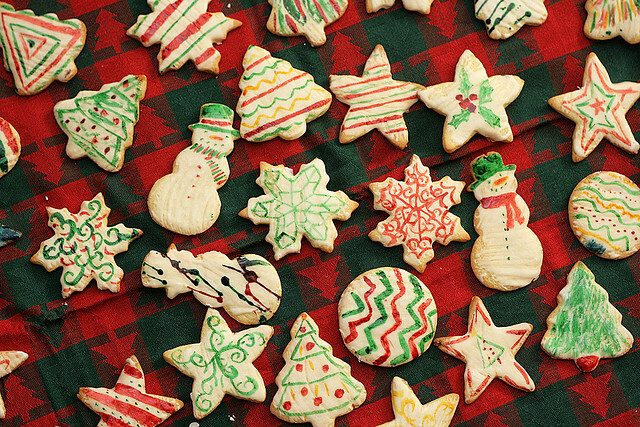 To heck with the fat and sugar — it is just one day! Wish me luck — and thanks again for renewing this memory. Thanks for the lovely note! Your pie sounds fabulous! And I’m with you on an indulgent holiday. We are also pudding-eaters in our family – Christmas dinner always features a steamed Christmas pudding made with persimmons, which I may one day share on the site! Happiest of holidays. This brings back wonderful memories from my high school years in the early 1960’s. My very first girl friend, was my high school sweetheart in Hollywood. Her dear mom (who sadly passed away, this year) made this incredibly delicious Nesselrode pie when I was invited as a dinner guest, on a few occasions. It was simply an unforgettable, incredibly delicious taste experience. No one in my dear friend’s family except her mom knew the origins of this pie recipe. Today, I just was in touch with my old friend and she told me that she still has her mother’s recipe for Nesselrode pie and promises to share it with me by sending it as she did so long ago when, sadly I had lost it. I read to her, today, the history of the pie and of the Russian diplomat Karl Nesselrode, a German Jewish soldier who was working in the court of Emperor Alexander I in the early 1820’s. Nesselrode’s chief chef invented the pie in honor of Nesselrode and his service to Russia, and named the pie after the diplomat. I shared this information with my friend who found it extremely fascinating, and she then surmised that, perhaps, her mother also knew the historic origin of Nesselrode pie. Thank you for sharing this forgotten recipe. 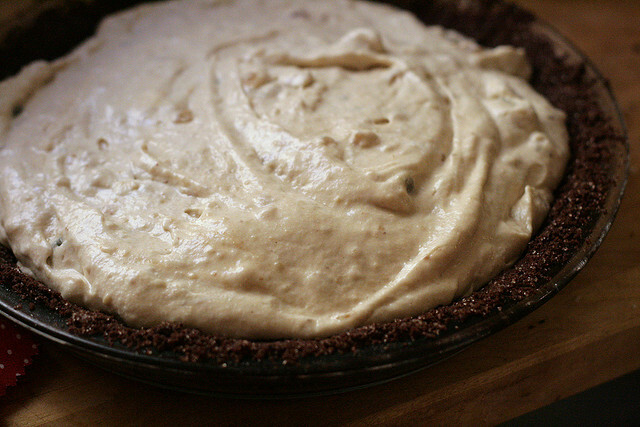 This pie originally called for chestnut puree to be added to the cream filling. American chestnut trees were totally killed out by a “blight” that went through this country many years ago. Most Americans today have never heard of chestnuts or even seen them unless they have traveled to Europe. You could buy fresh hot roasted chestnuts from street vendors in very big cities back in the 1950’s in northeastern states. Anyway the death of the American chestnut caused the death of the true Nesselrode pie. Thanks for the note TR! I know that chestnut trees are rare in America. Love this recjpe, these comments. So funny how I found this, lol, as often happens on internet. I started by looking up Ansonia Station, in NYC. Something i am mailing goes there. Then I read about the Ansonia, and saw their menu from 1907. I had never heard about this pie, but will ask Brooklyn born Dad about it. Would love to try baking it at Christmas. Cheers! https://en.m.wikipedia.org/wiki/The_Ansonia – orher interesting items on menu, of course!! I am not finding the menu source…hmmm…i know nypl has it…i remember smelling roasted chesnuts in NYC, but Grandma wouldnt let me have any, because of the unhygeinic vendor habits…I am sorry to hear about chesnut blight. Chip Beef’s not extinct I see it all the time at restaurants. Anyway do you have a recipe for it? Everytime I click recipes at the top it goes away too fast before I can click on breakfast. My mom always made this at Christmas. I’m trying it this weekend, for a party. Wish me luck.Also…my mom always added a handful of chopped walnuts. To determine authenticity of gastronomic facts, please refer to Escoffier for verification. Escoffier references a Charlotte pan to make a “Pudding Nesslerode” #2663 pg 805. No mention of pineapple….just crème anglaise currants, sultanas, cherries, candied orange peel and of course the chestnut puree along with madeira (no rum).